The Feldip Hills is the area located just below the ogre city of Gu'Tanoth and South of Yanille. 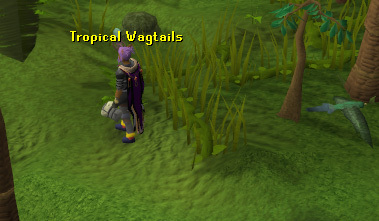 This area appears to be empty, however attractions here are popular for the Hunter skill, and to hunt Chompies as well as Jubbly Birds. Currently, there are only four ways of getting to the Feldip Hills. These are flying by glider or eagle, teleporting and walking. 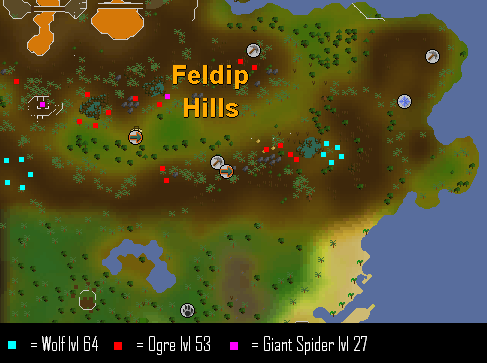 The most basic way of getting to the Feldip Hills is to walk there. There are currently two walking routes. These are shown on the map below and following these paths will cause you to arrive at either number 1 on the map. This route is shown in gray. 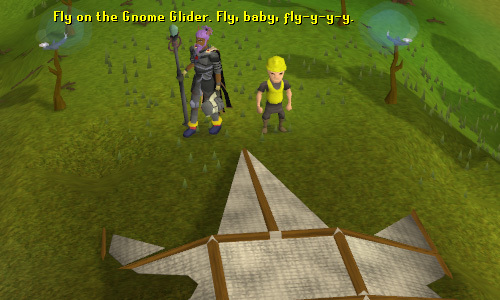 Once you have completed One Small Favour, it is possible to fly the Gnome Gliders to Feldip Hills. Doing so will cause you to land here. This place is number 2 on the map. 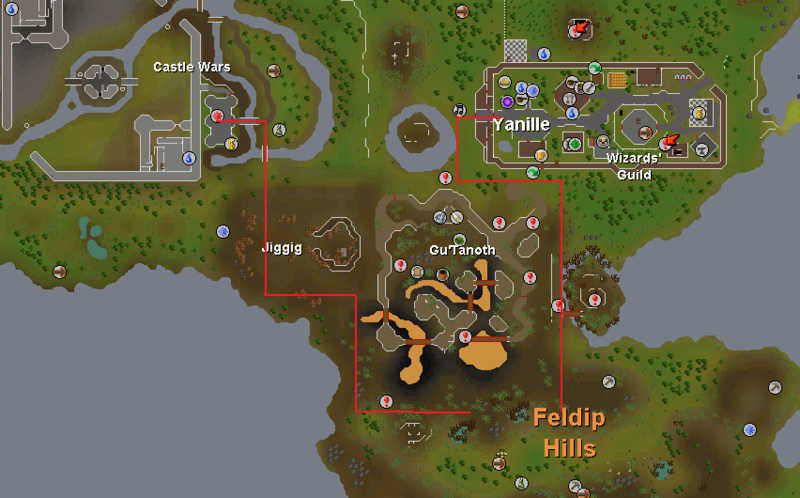 If you have started the Fairy Tale Part 2: Cure a Queen quest then you can use the Fairy Rings to travel to the Feldip Hills. The ring code needed is AKS and using this bring you out here. This place is number 3 on the map. 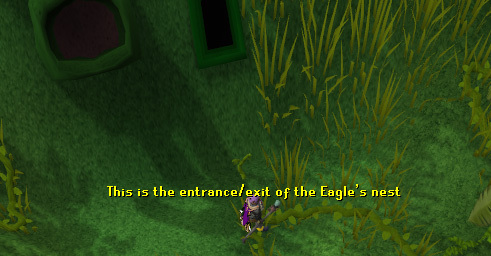 Once the Eagles Peak quest has been completed it is possible to fly from the peak by harnessing an eagle in this area. A rope is needed for this. Doing so causes you to land in the eagles' nest. 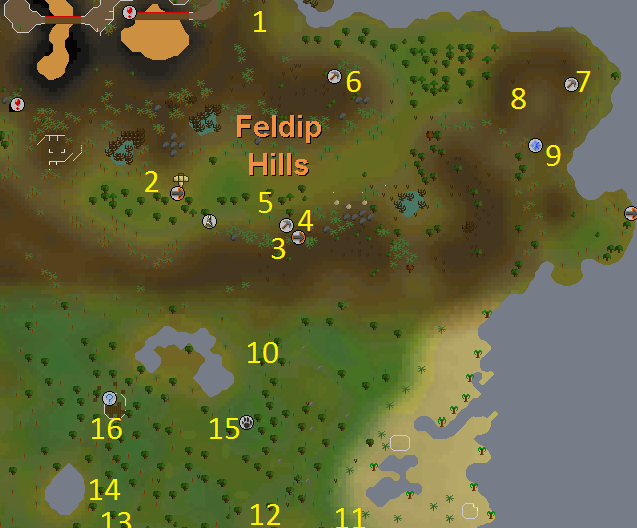 If you climb out of the small cave shown you appear in the Feldip Hills a short distance from the Hunter skill tutor. In order to get back up to the eagles' nest you need to aid a small vine growing up. To do this use a garden cane (available from Fenkenstrain's Castle), a thatching spar (from Tai Bwo Wannai Clean Up) or a teasing stick on the young vine at the base. Leave this to grow for a while, and it will eventually be strong enough and tall enough to climb up. Located just north of the Fairy Ring portal is a mining site. There are three ores here which only give 1xp to mining and only contain rocks. They can be mined fairly quickly but shrink each time. After being mined three or four times the rocks become too small and must be left to respawn. These rocks are used for hunting are used to hunt jubbly birds. 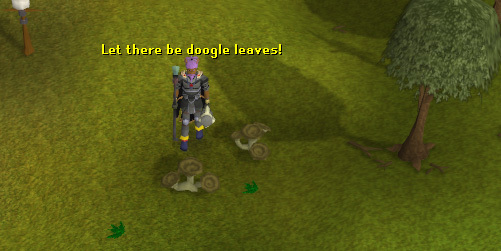 Just north of the rocks is a spawn of doogle leaves. These are used in the Big Chompy Bird Hunting quest as well as a few others. 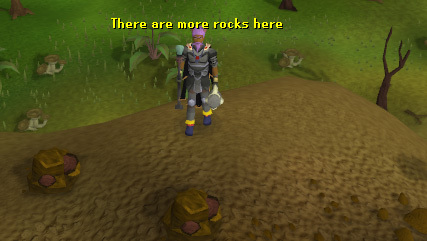 At the next mining site, there are four rocks split in two places. This is the largest of the three mining sites. The third mining site is located east of this. It is smaller and contains only three rocks. Nearby the mining site is a small cave. 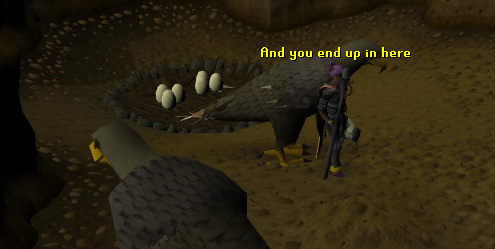 This is part of the Big Chompy Bird Hunting quest. Inside the cave there are two more ogres used to obtain the Ogre Bellows in the quest. The two ogres here are Rant'z children whose names are Bugs and Fycie. 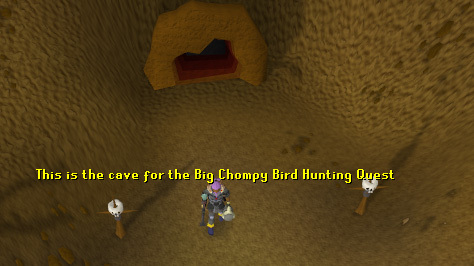 South of the caves is the start point for Big Chompy Bird Hunting. 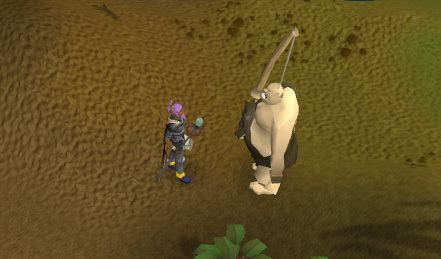 The quest is started by talking to the ogre Rantz. During this quest you need to help Rantz shoot Chompy birds and you win hats based on the number you shoot. Rantz is standing in a clearing South of the caves shown here. One of the main attractions of the Feldip Hills is the Hunter area to the South. Information on this can be found in the Hunter Skill guide. There are several different types of hunter animal in the Feldip Hills. Their names and locations are listed below. There are several locations to trap Barbtailed Kebbits here in the Feldip Hills. One way of starting the Hunter skill is by trapping Crimson Swifts, which are located close to the eastern coastline. Just west of the Crimson Swift hunting area is also a place to trap Spined Larupias. There is also a more advanced bird for hunters located further west of the Spined Larupias: the Tropical Wagtail. Feldip Weasels can also be found a short distance north of the Tropical Wagtails. Both Black Warlocks and Carnivorous Chinchompas can be found at a variety of locations across the hunting area. The Hunting Expert can also be found in a small hut near the hunting areas. He teaches those new to the skill about what it involves and its uses. 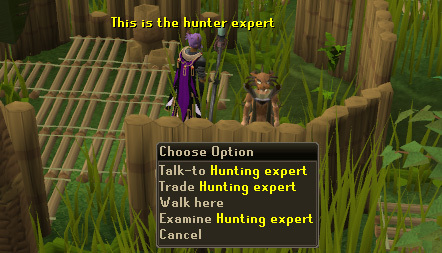 He also sells the hunter skill cape for those who have mastered the skill. There are several aggressive monsters scattered throughout the Feldip Hills, including wolves, spiders and ogres.